Just want you to know." Brian Wilson, of course, was the leader of the Beach Boys...but he was much more than that. Brian was a composer and innovator in the various ways of creating vocal harmonies and instrument dalliances that were once unheard of. And he made the music sound so warm...fun and ridiculously simple to our ears...we forget how wicked-smart he was/is. I'm a cheerleader...when it comes to Brian. He practically disappears off the face of the earth in the seventies and eighties...battling demons of various ilk. Almost forgotten. Only to walk back in and successfully and bravely pull it all back together. 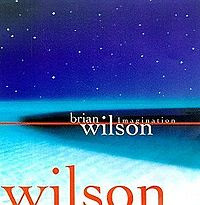 Brian Wilson's music makes us feel better. Simple as that. Lost Gem:--> "Lay Down Burden"...is a perfect example of complex simplicity,,,making harmony and instrument sound Pre-School and Higher-Ed at the same-freaking-time. The fragile genius with the egg-shell heart.